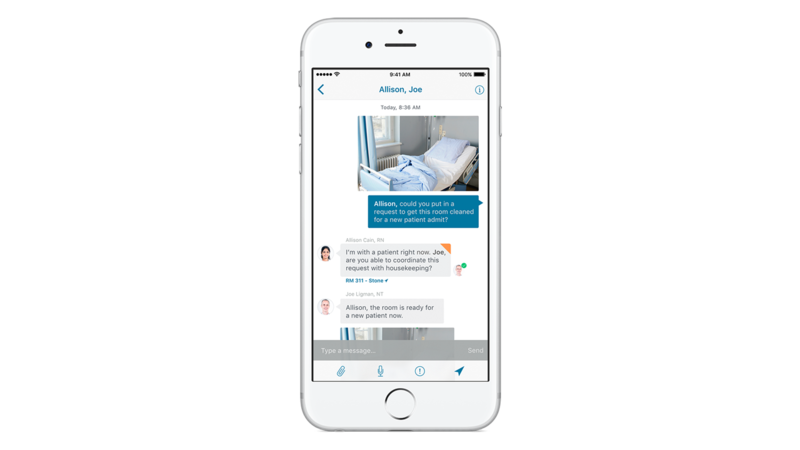 IBM MobileFirst for iOS Message for Healthcare provides secure, HIPAA-compliant instant messaging for doctors, nurses and techs on iPad and iPhone. IBM MobileFirst for iOS Message for Healthcare enables secure digital messaging for doctors, nurses and other healthcare providers. Users can send and receive photos or text, audio and video messages in the familiar, easy-to-use app while knowing that their communications are protected by HIPAA-compliant security. Save time and speed up patient care using iPhone, iPad and Apple Watch devices. Camera, video, audio and text messages sync across iOS devices – including iPad, iPhone, and Apple Watch. Using iBeacon, Location Services and Maps, users can see team members’ locations, share contacts and access the staff directory. Messages and notifications can be tagged, filtered and prioritized based on their content and sender. The app functions like iMessage, Mail and similar apps – including swipe left to delete and edit details.